A properly installed door - When your door is open, even just long enough to walk in or out, there’s always the possibility that a bug or two may seize the opportunity to sneak in, but when closed, your door should provide a tight seal. If it doesn’t, it wasn’t properly installed initially. Hiring a professional to make the proper adjustments will make a huge difference. Find out if the screen system used in your lanai is the right one - In days gone by, the typical way to install screens were by stapling them. Professionals have since discovered that this method doesn’t provide a complete seal and makes repairs much more difficult. A good screen system results in 365-degree contact - also known as a perfect seal. If you are still living with a screen system that relies on staples, consider upgrading to a modern system. Cover deck board gaps - If your lanai sits on traditional decking, you most likely have â…›” or ¼” gaps between the boards, providing a perfect entryway for pests and bugs. Screening underneath your deck is easily accomplished during deck construction by laying fabric down over the joists before adding the deck boards - but if you have an existing porch with gaps in the boards, individual screen panels can be installed between the joists. Check your soffits - The area on the underside of your roof’s eaves beneath the gutter are your soffits. If you have vented soffits, they allow bugs in through the holes. This issue can be remedied by screening the soffit areas around your lanai. Not sure what the exact source of your bugs is? 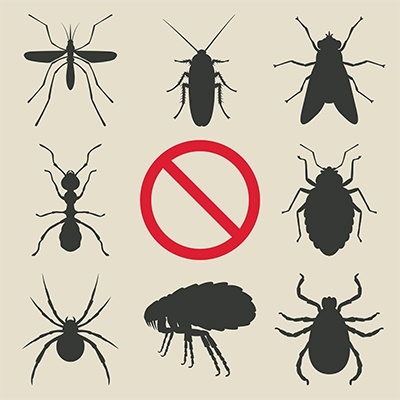 It’s probably time to call a professional to help identify these and other probable issues that are letting the bugs in.